BRITAIN’S enduring passion for golf has played a pivotal role in our love affair with Spain. Justin Rose has been fleeing England’s rain-streaked shores for the sun-kissed fairways of the Costa del Sol and Murcia for decades, indeed every chance he gets. For the 2013 US Open winner, sheltering from the elements under the dubious cover of a 12th-hole tree back in Blighty is but a distant memory. And, these days, the nation’s fervour for golf and dreams of a frontline home on the fairway are helping to boost Spain’s resurgent property market as the country starts to exit the savage recession. Mark Twain described the game as ‘a good walk spoiled’ but, for thousands of expats perfecting their putts, Spain’s manicured greens are enough of an enticement to turn a hobby into a new lifestyle with an investment in bricks and mortar. And for some, living within driving distance of the driving range isn’t enough. More and more expats are choosing to live in properties a mashie niblick-length from the course itself. David Hewitt moved to Spain eight years ago before making the switch to a home at La Duquesa Golf & Country Club. The graphic designer’s townhouse offers him easy access to the course. He was out enjoying a round with friends when the Olive Press first contacted him. “I have a view of the 10th hole. There is a driving range where you can practise,” he said. “The courses are better quality, and we have the weather here. But really I moved more for the location. La Duquesa’s apartments and houses around El Hacho are home to hundreds of golfing fanatics – Scandinavians and Germans as well as British – who take part in tournaments and club social events throughout the year. They’re not alone. An estimated 160,000 British people own holiday homes near golf courses and, with nearly 60 courses on the Costa del Sol, southern Spain is high on the list of popular destinations. The constellation of star names who have teed off on local courses include Real Madrid galactico Gareth Bale and former Spanish Prime Minister Jose Maria Aznar. Premiership footballing alumni David Bentley and Steven Carr love the game so much, they can often be found swinging their clubs on courses around Benahavis, while their La Sala chief associate Ian Radford loves Guadalmina. At luxurious Los Arqueros Golf and Country Club, near Marbella, residents have been teeing off within putting distance of their front door for the past 20 years. The course, designed by Seve Ballesteros, boasts some 1,500 properties. Ignacio Osle, Regional Director for British building firm Taylor Wimpey, points to the phenomenal success of Avalon, their latest development at Los Arqueros. “We sold the last property in August, so we have no more left,” he says. “During the recession, we kept on developing the Los Arqueros golf resort and we kept on selling out. He estimates that 40% of the customers snapping up a Spanish golfing idyll are British, with others coming from the Middle East or Scandinavia. Such is golf’s continued allure, Taylor Wimpey is spearheading a joint development plan with La Cala Resort for two new golf home enclaves: Miraval in Mijas, a luxury development of 60 apartments, and a townhouse urbanisation christened Horizon Golf. “We also plan another development in Estepona Golf for next year. It will have 58 townhouses and 72 apartments,” said Osle. And with prices for a two-bedroom apartment coming in at around €200,000, business is booming. “We didn’t really have any competitors on the Costa del Sol until now but now there are investment funds selling properties for between one and three million euros,” added Osle. The size of most golfing resorts means that their primary purpose isn’t that obvious to the casual visitor. 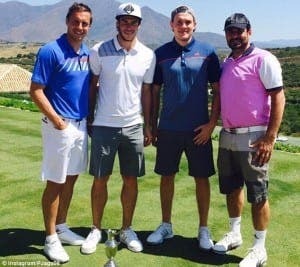 Alex Twomey, 25, recently took a family holiday to El Chaparral Golf Club, but despite its floodlit greens and acres of playing space, the Londoner noticed no visible signs of golfing activity. He said: “It is massive; if I did not know beforehand that it was a golfing resort, I would not have known what it was. I was quite surprised because I hardly saw anybody in their golfing gear or with their equipment. Frank Rabbel, Development Manager at Bromley Estates, is well-versed in finding homes for the influx of British buyers and expats from elsewhere. 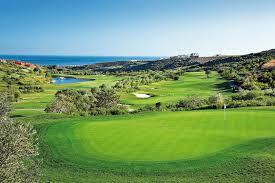 His company is an exclusive partner with Valle Romano Golf Course near Estepona, where they have 570 properties. And with prices ranging from €103,000 for a two-bedroom, two-bathroom apartment to €181,000 for the most expensive penthouse, the championship golf course is a hit with Brits swinging their five irons. “Most of the apartments have a wonderful view. We have people, many of them Spanish, who buy because of our cheap prices but around 40% of the people are British,” said Rabbel. However, when it comes to golf, make that a united nation. DO YOU HAVE NEWS FOR US at Spain’s most popular English newspaper - the Olive Press? Contact us now via email: newsde[email protected] or call 951 273 575. To contact the newsdesk out of regular office hours please call +34 665 798 618.